A steep decline in domestic investments is becoming a main drawback on the country’s economic growth, with projections suggesting it is likely to fall short of the government’s target of 2.9 percent this year. Investments in facility, construction and intellectual property production dropped on-quarter in the April-June period, according to data released by the Bank of Korea last week. It marked the first time investments had fallen simultaneously in the three segments since the second quarter of 2012. Facility investment, a key indicator used to forecast future economic vitality, decreased 5.7 percent in the second quarter of this year, recording the steepest decline since the first quarter of 2016. It is expected to continue to head downward in the coming months. According to separate data released by Statistics Korea last month, facility investment fell 0.6 percent on-month in July, marking a decline for five consecutive months. It was the longest streak of on-month decrease since the foreign exchange crisis in the late 1990s, when the country saw facility investment drop for 10 straight months from September 1997. 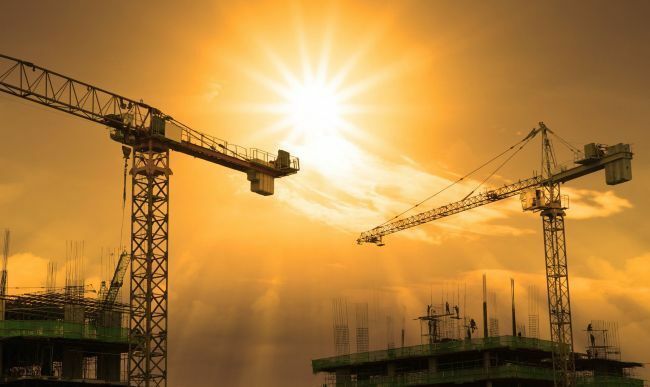 Construction investment dropped 2.1 percent on-quarter in the April-June period of 2018. Investments in intellectual property production, which include corporate spending on research and development projects, recorded a 0.7 percent decrease in the same period. According to the BOK data, shrinking investments peeled 0.9 percentage points off Korea’s economic growth rate in the second quarter, compared with a 0.6 percentage point positive contribution in the previous quarter. Korea’s economy grew 0.6 percent on-quarter in the April-June period, decelerating from a 1 percent growth in the prior three months. Economists worry that Asia’s fourth-largest economy will continue to lose growth momentum as President Moon Jae-in’s administration is adhering to its income-led growth policy, which has weakened corporate activity by introducing a set of labor-friendly measures. “The economy seems affected by the negative effects of the income-led growth policy much faster than thought,” said Cho Jang-ok, a professor emeritus of economics at Sogang University. He predicted that the growth rate would be in the mid-2 percent range, about 0.2-0.3 percentage points lower than the government’s goal. Sluggish facility investment in the country contrasts with brisk investments by companies in other major advanced economies. Facility investment rose 8.5 percent and 1.3 percent on-quarter in the US and Japan, respectively, in the second quarter of 2018. Economists are concerned that a continual decline in facility investment will undermine Korea’s long-term growth potential, leaving it left behind in the global competition to go ahead in the fourth industrial revolution. The nation’s annual potential growth rate, which refers to a maximum growth rate an economy can achieve without prompting inflation, was estimated to be 3.8 percent on average for the period from 2006 to 2010. In January last year, the Bank of Korea estimated it to be between 3 and 3.2 percent for 2015-2018. Six months later, it put the rate for 2016-2020 at between 2.8 and 2.9 percent. In line with the decline in facility investment, the country’s overall manufacturing capacity has decreased in recent months. According to the state statistics office, the country’s manufacturing capacity index slid for five consecutive months to 102.6 in July, down 1.3 percent from a year earlier. With the 2015 figure at 100, the index tracks changes in the total amount of goods manufacturers could produce by operating their facilities at full capacity. Experts say Korea is likely to see its manufacturing capacity contract this year for the first time in decades since it began driving industrial development in the 1960s. Except for semiconductors and electronics parts, the country’s major manufacturing industries have frozen or reduced investments with their competitiveness weakening in the face of intensifying competition from Chinese rivals and mounting protectionism across the globe. The Moon administration’s failure to push through regulatory reforms in addition to its income-led growth drive has also discouraged local companies from increasing investments. Moon has done little beyond repeating calls for deregulation to overcome objections from many ruling party lawmakers as well as various interest groups. “Companies would make investment decisions for the next five to 10 years only when they could be convinced that the government has turned to a pro-business stance,” said a corporate executive, who asked not to be named. Experts say corporate investments can hardly be expected to grow if the Moon administration continues to raise corporate taxes and reduce tax breaks on investments while increasing expenditures to fund expanded welfare and employment programs. In contrast to sluggish domestic investment, Korea’s overseas direct investment rose sharply in the second quarter from the year before, according to recent data from the Ministry of Economy and Finance. Investments made by Korean companies in other countries totaled $12.96 billion in the April-June quarter, compared with $10.3 billion a year earlier. The figure for manufacturing firms spiked 120 percent over the cited period to $4.1 billion.